Just about any photo of a soldier battling his enemy or environment will be both revealing and inspiring to modelers who like to add figures to their AFVs and dioramas. These books are my favorite sources for determining the timing of uniform and equipment changes, colors, uses, etc. Until the following book came out, this was the best, most comprehensive book on topic, with scores of contemporary photos of actual wartime issue uniforms, gear and weapons. It covers infantry, airborne and armored troops. If you want to populate your AFVs and dioramas with figures, this is definitely and the one below are the first two books you should invest in. Richard Windrow is a noted modeler and author of Terrain Modeling Masterclass, published by Osprey. Following the format of the 1943 Quartermasters Corps supply catalog, this book is an astounding compilation of U.S. WWII militaria. It includes insignia, uniforms, personal equipment, weapons, tents and bivouac gear for regular infantry, as well as items used by armored troops, paratroopers, military police, medics, signal corps, chaplains, etc. 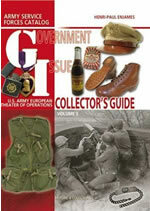 The items come from the personal collections of the author and other collectors as well as museums. They are photographed in color, augmented by a small number of black and white period photos from technical manuals. The book runs nearly 300 pages and each one is a gold mine for diorama builders, especially those who want to scratchbuild items like cook stoves, airborne handcarts, or carrier pigeon box. The Windrow and Hawkins book has an advantage in seeing the uniforms and gear worn and used by reenactors, but this is much more comprehensive. 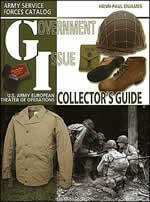 Government Issue: US Army European Theater of Operations Collectors Guide, Volume II, by Henri-Paul Enjames, Histoire & Collections, 2008, ISBN: 978-2-35250-079-7. There are plenty of historical black and white photos. The book does not offer a great deal of depth on these topics, but will answer most of the general questions you might have. And for $10 at Barnes & Noble its a steal. 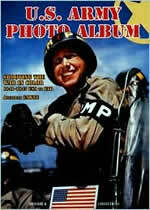 This is a compilation of historical color photos including stateside training and locations in the Mediterranean, the UK, Normandy, Southern France, and through Europe into Germany. Good photos of soldiers, vehicles and artillery. Use caution when relying on them as examples of true colors of paints and fabrics, however. Not only did colors of materials fade from wear and weather, color film dyes can shift over time, and not all color printing processes for books are exact. 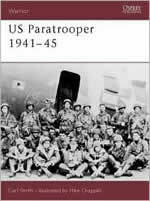 This is undoubtedly the definitive photographic record of the myriad US groups involved in the invasion of the Normandy beaches (airborne units are not covered). 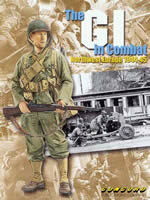 Landing crafts, assault units, demolition teams, regimental combat units, Rangers, Naval Beach Battalions, engineering units and post-invasion support are covered here in revealing detail. Uniforms typical for many organizations are modeled in color photos. This book is a must-have for anyone interested in modeling  or just learning more about  this pivotal event. These two books by Christopher Anderson are similar in format, with a brief narrative of the war and changes in uniforms and equipment during that time. 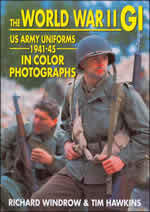 The following 65 pages include a few pages of color photos and a lot of black and white shots of soldiers at work and rest. The captions are very helfpul in identifying clothing and gear. If you're just getting into building paratrooper figures, this book is a good starting point to understand the unique uniforms and equipment used by these truly special forces. 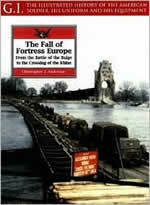 Following the typical Osprey format (this was previously published under the same title as #26 in the Warrior series), the book provides basic nuggets of information. 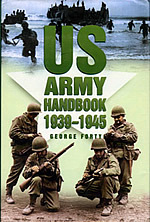 About half the book covers the formation of the airborne divisions and basic training, and the rest of the book deals with their combat roll. While lacking the vigorof Ron Volstad's work, the color plates by Mike Chappell are nicely illustrated and will be a good guide for getting to know the paratrooper's equipment and working out painting details. 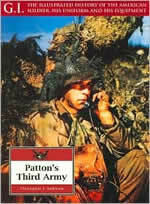 One big revelation this book provided: airborne glider troops wore the same uniforms and used the same equipment as infantry. The only distinguishing feature that identified them as airborne was their shoulder insignia! That opens up larger possibilities for figure choices in your dioramas once you determine where glider troops and paratroopers fought as integral units. 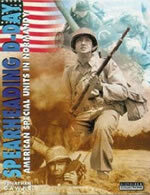 This is a must-have source of inspiration for anyone who enjoys building U.S. figures and dioramas. While a slim 52 pages, this book is chock full of excellent photos, many never before seen, of American soldiers in all sorts of activities "over there." Most notable are the half dozen photos of 2nd Armored Division soldiers in the ill-fated camo uniforms that were soon discarded after too many soldiers were mistaken as German SS. There are also good shots of men equipped with .30 and .50 machine guns, bazookas, mortars, and artillery pieces. There are four color plates from Ron Volstad, including box art from the DML tank crew and Bastogne airborne sets, and two that may be from DML's action figure line. They serve as good uniform and painting guides. Highly recommended!